“That’s the best English you’ll hear him speak,” said Kelly Johnson, one of the Mets’ utility players and, like Syndergaard, a Texas native. “It’s pretty cool that someone from Cuba listens to that music, and it’s music I listened to back home,” Syndergaard said. And if it’s true that Cespedes might not have encountered country music if not for baseball, it’s also the case that Johnson and Syndergaard might not have otherwise taken a liking to reggaeton. Nicky Jam is a popular Boston-born reggaeton artist of Puerto Rican and Dominican descent. Johnson said he makes sure to keep at least three or four songs available that he likes and that will also appeal to his Latino teammates. 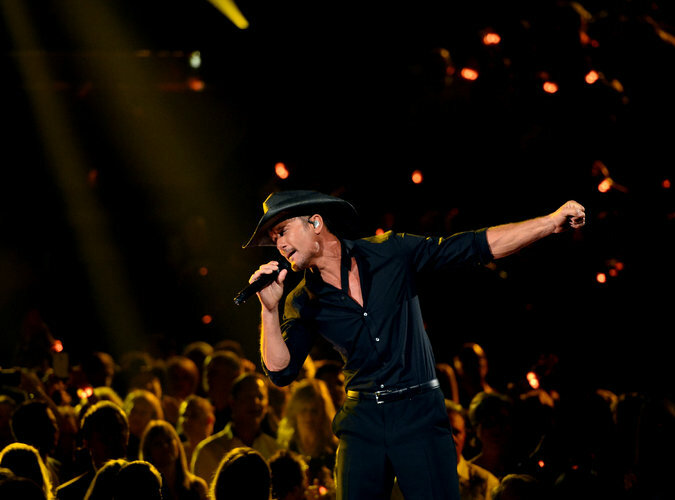 Tim McGraw, performing at the Academy of Country Music Awards in April, has his share of fans in the Mets’ clubhouse.